HP AD331A - PCI-X 1-Port 10/100/1000 Gigabit Ethernet Card - for HP Integrity Server"
Benefit with the Nortel EL4512011 Layer 2/3 Gigabit Ethernet switch module full Layer 2 switching and Layer 3 routing. Benefit with the Nortel EL4512011 Layer 2/3 Gigabit Ethernet switch module full Layer 2 switching and Layer 3 routing. thus the hot plug module expands your IBM eServer BladeCenter to a variety of functions and can bring you new power capacities. 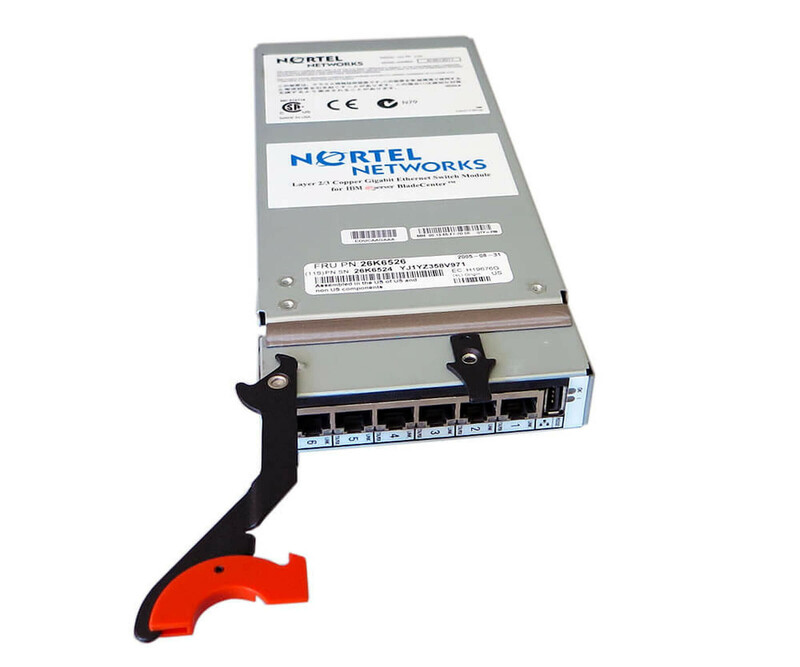 The Used switch module has been overhauled by Nortel, it can directly after begin receiving the work. IBM and Nortel deliver with the EL4512011 Layer 2/3 Copper Switch Module the perfect result their cooperation. The development was specifically and demanding server designed network applications to meet the needs of businesses well. On big advantage of course is the seamless integration of Nortel Network technology in the IBM eServer BladeCenter system. After commissioning of Nortel EL4512011 You get immediate access to numerous functions. The L2 / 3 GbESM provides example. VLAN tagging 802.1Q, Link Aggregation and LACP, as well as the Routing protocols RIP, OSPF and VRRP. Each module in each case a Gigabit Ethernet port Blade for 14 slots, and six Gigabit uplink ports for external use. 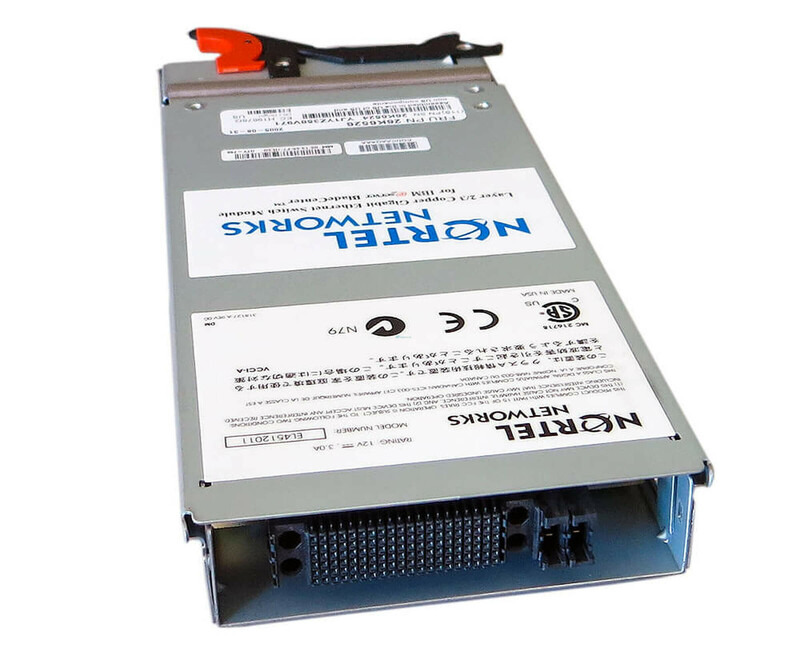 What are the Requirements Also, the Nortel EL4512011 Layer 2/3 Copper Gigabit Ethernet Switch module will enhance your IBM eServer BladeCenter ideal. To benefit, depending on Configuration of a higher performance or greater reliability. Check easy based on the part number (FRU) 26K6526 whether the switch module directly in your BladeCenter be able to use.